Teleporters inspired by the graphic line of blocks and other objects of Minecraft. Vanilla-Inspired Teleporters 1.12, 1.12.1 and 1.12.2 is a mod that lets you create teleporters, obviously developed to allow players to teleport to different places around the world instantly. What differentiates you from other mods teleportation is that has been specifically designed to suit the graphic line of the game. That is, without futuristic look, or inconsistent to a world full of cubes forms. Operation is simple, once we have several teleporters, we right-click it to place a block or object that will connect with other teleporters. That is, a teleporter with a torch will teleport the player to a torch and not a teleporter with an iron block (for example). We may also block teleporters placing blocks over them. 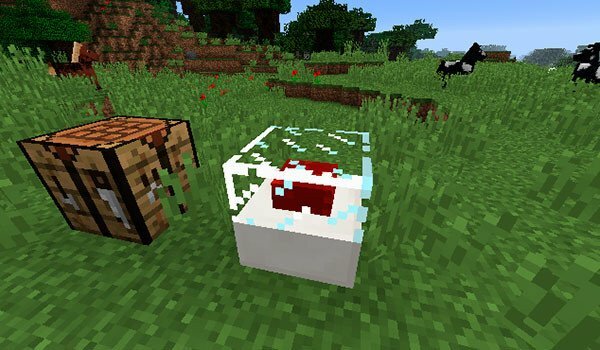 How to install Vanilla-Inspired Teleporters Mod for Minecraft 1.12, 1.12.1 and 1.12.2? Teleporters simple to use, and adapt the design of objects and blocks Minecraft!